Oh, Justin Vernon, what can’t you do? 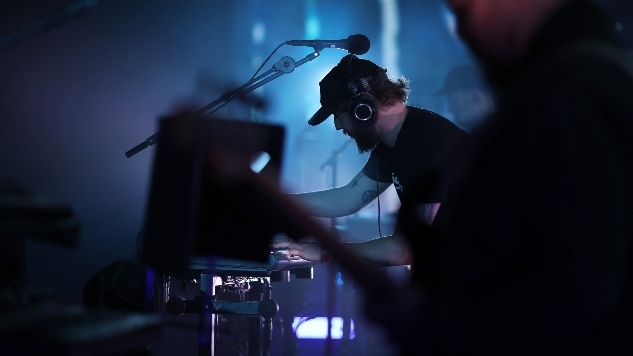 Justin DeYarmond Edison Vernon, known by many as Bon Iver, is the multi-talented singer/songwriter/producer/instrumentalist who took the world by storm with the July 2007 release of For Emma, Forever Ago. By now, you’ve probably heard the infamous tale of the album’s beginnings: an ailing Justin leaves Raleigh, N.C., for a remote cabin outside his hometown Eau Claire, Wis., to be alone and work on his music—the result of which was the 37 minutes and 19 seconds that make up one of the greatest indie folk albums ever released. But only the most devoted fans are likely aware of every band Vernon has been involved with since Mount Vernon’s debut album We Can Look Up, released 20 years ago, and there’s a lot of impressive music ready to discover. Just last month, Vernon and The National’s Aaron Dessner released a debut eponymous duet album as Big Red Machine. We’ve ranked all the projects that are part of Vernon’s explorations in music across time, mood and genre. Jason Feathers is the collaboration between Bon Iver’s Justin Vernon, drummer S. Carey, Gayngs’ Ryan Olson and the Minneapolis rapper Astronautalis. Their album De Oro exists somewhere in between rock and rap, focused on the Deep South. Cool? Not really. Let’s hope to never hear an auto-tuned Vernon sing: “I am young as fuuuuck” or “Goddamn we in the southland” ever again. Gayngs consists of multiple established artists, including members from Megafaun, The Rosebuds, Doomtree and Stay Gold, among others. The band released their debut studio album Relayted in 2010. Their music is decisively atmospheric, and the saxophone will make you feel some kind of way. My single complaint is that at times Gayngs can sound a bit like a caricature of old-school soft rock, which can be alternate between quite cool and quite annoying. Vernon makes up one third of The Shouting Matches, a blues-garage rock band with Laarks and Peter Wolf Crier drummer Brian Moen and former DeYarmond Edison bandmate Phil Cook. Together, they recorded a 5-track EP, Mouthoil, and released their debut album, Grownass Man, in 2013. The Shouting Matches might have even made it higher on this list, if it wasn’t for that weird scream-o thing Vernon occasionally attempts in their music—although I suppose the word “shouting” is in the band name, after all. Mount Vernon is beautiful. The year was 1998, and Vernon’s first band released their debut record, We Can Look Up and then two years later, All of Us Are Free. They’re just like your high-school rock band, or my high-school rock band, except approximately a thousand times better. OK, maybe a million. Ever wondered what a non-falsetto Vernon sounds like? Here it is. DeYarmond Edison has since disbanded, but Vernon went on to create Bon Iver, three members (Brad Cook, Phil Cook, Joe Westerlund) formed Megafaun, and Christopher Porterfield eventually established Field Report. The band’s style is the perfect blend of folk and Americana sounds, updated with atmospheric and electronic traces. The band broke up in 2006, but we should all still be in mourning. If this list ranked which of Vernon’s band names are most applicable to their sound, Volcano Choir would come in first place. Volcano Choir originally began as a collaboration between Justin Vernon and the Milwaukee-based band Collections of Colonies of Bees. The band’s two full-length albums Unmap (2009) and Repave (2013) feature Vernon’s magnetic voice, often layered to give it that choral sound, in crescendos that may begin quietly, but ultimately erupt in sound and passion. Vernon’s vocals rest atop of the Collections of Colonies of Bees’ inventive soundscapes. Overall, the result is music that lands somewhere between categorizations of experimental and rock, or descriptions of eccentric and compelling. With hits like “Comrade” and “Byegone,” the swells of Volcano Choir’s melodies leave you somewhere far, far away from where you began. In 2009, Vernon collaborated with The National’s Aaron Dessner on the song “Big Red Machine” for the AIDS benefit album Dark Was the Night, but that was only just the beginning for this duo. This August, Big Red Machine finally released their self-titled debut album, with 10 songs that will make you feel everything: hope, passion, yearning, desire, fixation and all the above all at the same time. Despite its recent release, that’s enough to snag the second position on our Justin Vernon rankings. Bon Iver won Best New Artist and Best Alternative Album for their self-titled album at the 2012 Grammy Awards, and for good reason (despite For Emma having been out for five years at the time). The emotion of Vernon’s captivating falsetto makes every song affecting. This is peak Vernon—his most powerful lyrics, his most ethereal layering and his most intoxicating builds. The whole Bon Iver catalog so far—the debut, its double-self-titled follow up and the more experimental 22, A Million—should remain amongst the most classic American indie folk music for all time.